On Binance, you cannot purchase Cryptocurrency with fiat currency. 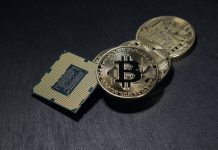 But you can transfer Bitcoin, or any other cryptocurrency available on the exchange (the most commonly traded ones being Bitcoin and Ethereum). On Binance, you can trade Bitcoin for other altcoins. 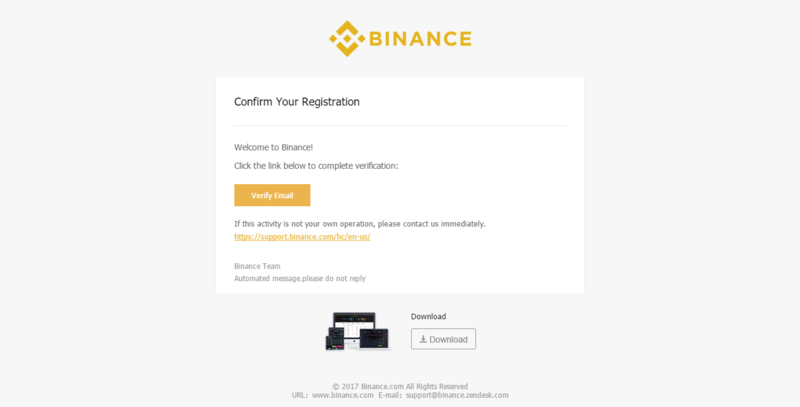 To get coins into Binance, you can follow this guide to buy your first Bitcoin/Ethereum/Litecoin with Coinbase. 1. 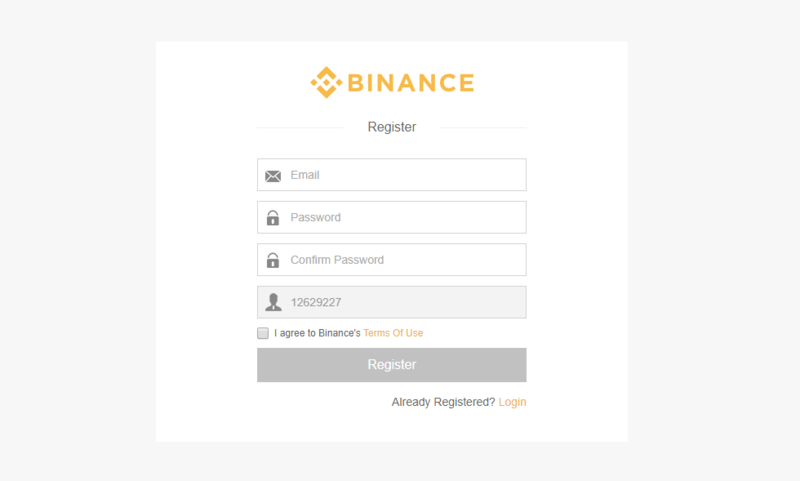 Click here to go to Binance and set up your account by clicking Register at the top right corner of the page. 4. A confirmation email will be sent to your email. Check and verify your account. 5. 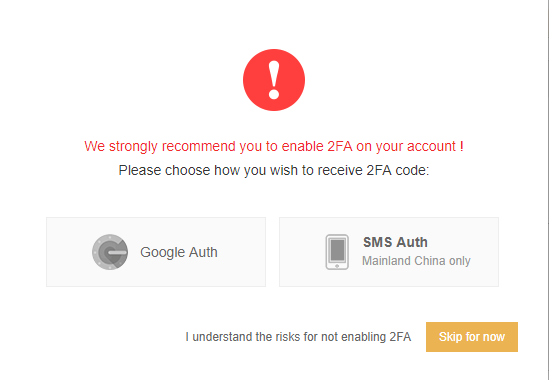 Add additional security to your Account by activating the 2FA (Two-Factor Authentication). Download Google Authenticator from Google Play(Android) or App Store(IOS). 6. 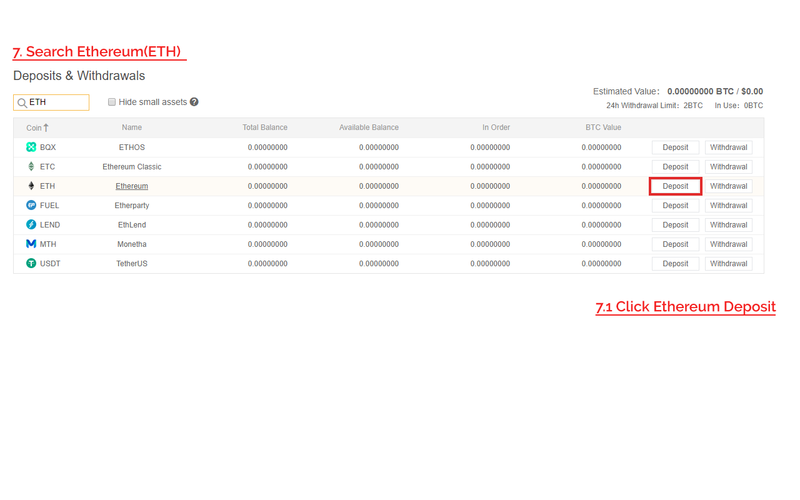 Add funds from to your Binance account. Remember, you can’t purchase coins with fiat currency, you need to first purchase them from Coinbase and deposit them to Binance. Select Funds at the top right and click on Deposits Withdrawals. 7. Select to deposit the coin you purchase from Coinbase, Bitcoin(BTC), Bitcoin Cash (BCC), Ethereum(ETH) or Litecoin(LTC). 8. After Clicking on Deposit, you’ll see a ETH Deposit Address which you can send your Ethereum purchased from Coinbase. 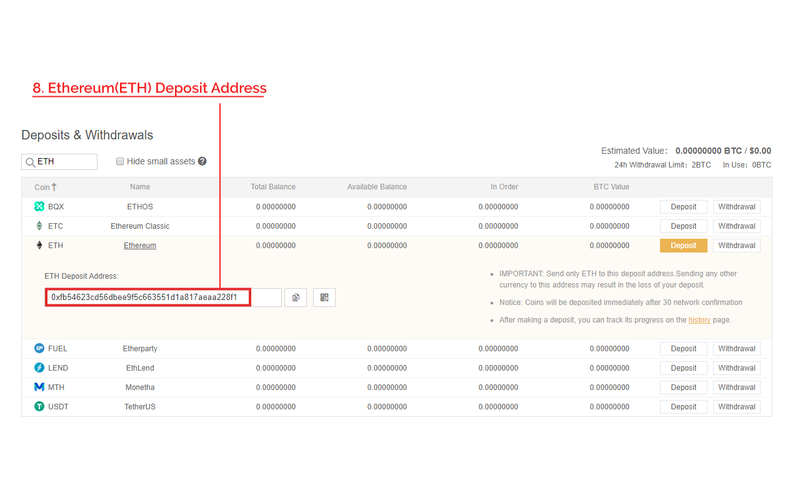 For every coin, the Deposit Address is different, so if you’re transferring Bitcoin, search for BTC > BTC Deposit Address. 9. Once you have Ethereum(ETH) or Bitcoin(BTC) in your funds, you can start purchasing other cryptocurrencies and altcoins. 10. Select the coin you would like to trade by selecting on it. 10.1: In Binance, the coins used to trade for most of the altcoins and cryptocurrency are: Bitcoin(BTC), Ethereum(ETH), Binance Coin(BNB). 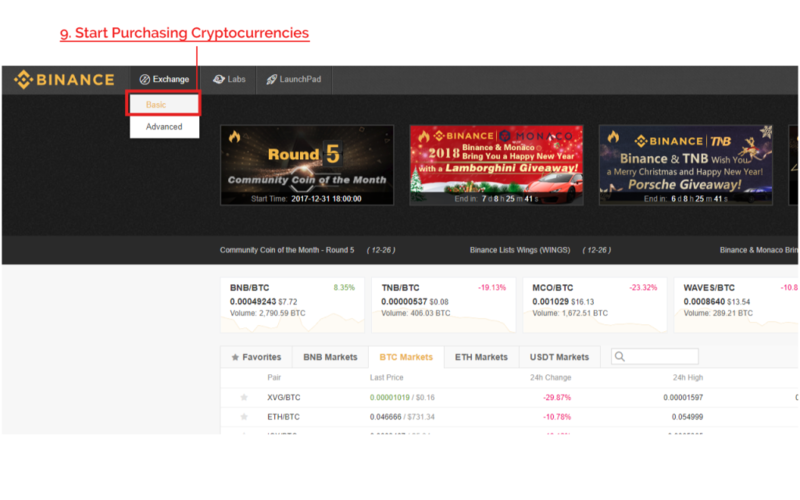 10.2: Selecting ETH as the market, you can view which currencies are traded with ETH. 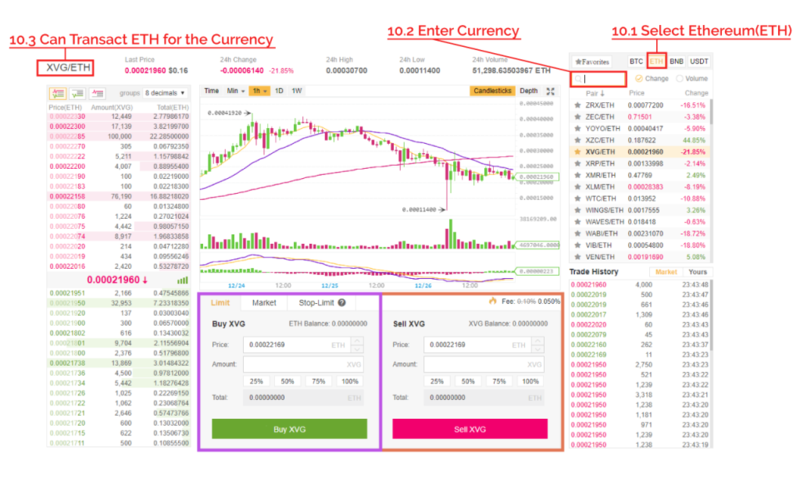 10.3: For the example, we’ve chosen Verge/Ethereum (XVG/ETH). Now you can start buying/selling the currency. 11. As we’ve chosen Verge(XVG)/Ethereum(ETH) we’ll use it as a demonstration in Buying and Selling Verge(XVG) with Ethereum(ETH). 11.1: Select the price you would like to purchase Verge(XVG) based on Ethereum(ETH). 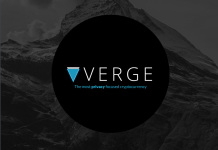 11.2: Select the amount of Verge(XVG) you would like to purchase. If you select the values 25%, 50%, 75% and 100%. It will automatically populate the amount based on the total amount of Ethereum(ETH) that you have. 11.3: The total amount of Ethereum(ETH) will be displayed. 12. 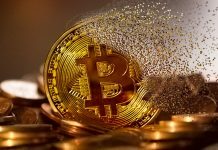 Once you’ve purchased your coins, you can choose to transact them for Ethereum(ETH) or Bitcoin(BTC) should you ever want to withdraw the amount. 13. To make a withdrawal, go back to Funds>Deposits Withdrawals(Step 7). Select Withdrawal on the currency and enter the Withdrawal Address to where you want to send it to. 14. 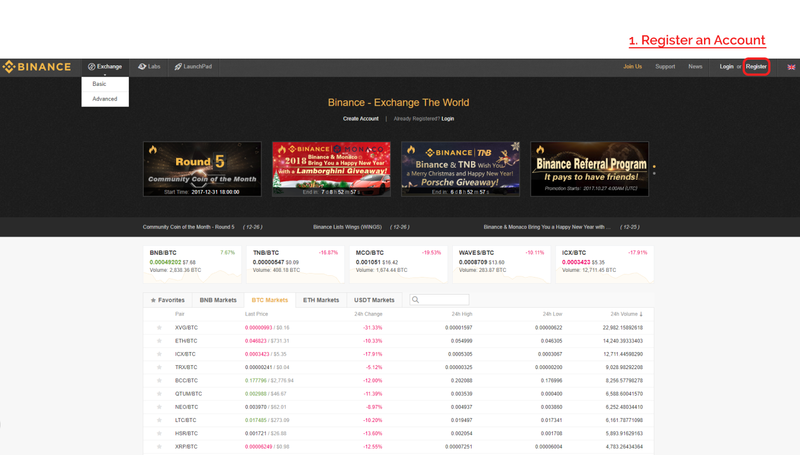 Now that you know how to transfer funds into Binance, you can start trading for altcoins for higher growth margin! If you’re new to Cryptocurrency trading, it’s highly recommended that you read up about the altcoins you would like to invest in before jumping into purchasing altcoins on Binance. 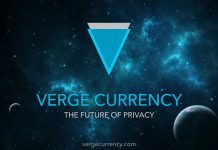 Next articleWhat is Verge? Why is the Wraith Protocol Crucial to its Success? What is FOMO, FUD and why you should HODL now?